Primary Inspired: Ready to Get Your MATH On? Ready to Get Your MATH On? ONE more day left of school and I'm already thinking about next year! That just seems to be the nature of teachers, doesn't it? I'm tearing down my room and planning how I'm going to set it up all at the same time. Can I get an Amen? I'm also thinking about my Math instruction and how I can amp it up. When I came across this book by Laney Sammons, I thought, "Brilliant!". Building Mathematical Comprehension is all about using comprehension strategies and applying them to Math. and applied it to math instruction in my classroom this year and loved it! 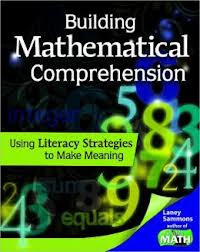 I am so excited to read Building Mathematical Comprehension this summer!! Beth over at Thinking of Teaching and I are hosting a summer book study. We'd love to have you join us! We've got lots of wonderful bloggers hosting chapters, sharing freebies to go along with each chapter, learning lots, sharing lots, and having fun! And it all launches on June 8th! Click on the book link above to order your copy from Amazon. I was wondering if you'd be doing another book study this summer. I'm not out until the 14th so I'm not sure if I can start the book study with you by the 8th, but I'd love to join in as soon as I can. LOVE to have you join us, Storie! 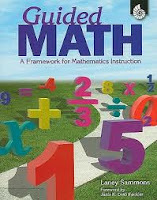 I would love to join a math book study and the book resources would be an amazing motivator for me! My goal this summer was to read Debbie Dillers new Math resource because with all the new common core changes, I feel like I need a massive overhaul on how I teach Math to my first graders! I love the idea of linking math to comprehension strategies too! Looking forward to it! Unfortunately, I don't get out until June 21t so I'll have to catch up but I'm sure it will be worth it based on last year's book study. Thanks for organizing everything! Hello, I am looking forward to participating in the book study you are hosting. I see that it will begin on June 8th. Do we need to read to a certain chapter by that date or will we begin reading at that time? I found the answer to my question. Thank you for hosting this book study!